–er –ful –less / -est –ing –ly / -er –y –ed. 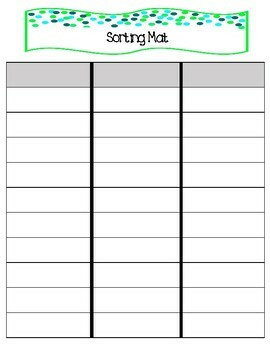 You can use this word sort in word study stations as a closed word sort on the tabletop/desktop, cut and paste on the sorting mat, or print on cardstock, laminate, cut and throw in a baggy for a center station. Enjoy! 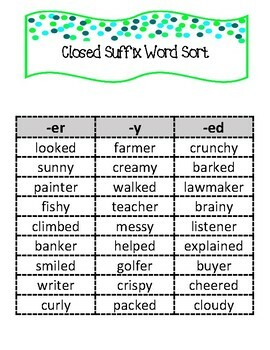 Check out the full product for additional word sorts, sorting mats, and sentence writing worksheets that complement the Suffix Word Sorts packet.